Thanks to /u/PeatReeks for this sample. Apologies to myannoyingopinions.com for stealing your image. I like Lowlands. There aren’t many Lowlands. 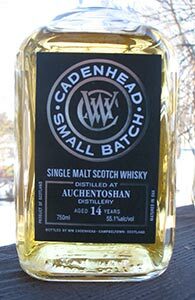 I’ve had a lot from Auchentoshan. Yup, that sums up a lot of my reviews for Lowland whiskies. Let’s try something different. Maybe talk about being behind on reviews? No, wait I’ve played that card too many times. Pop Culture references? Been awhile since I’ve done them. Little bit different. I am watching Netflix right now, while trying to catch up. Random moments of my life? That kinda works. Baking is a very interesting part of my life. At first, I thought everyone baked. I believed everyone had a dessert, fresh made, almost every week. Their mom was the baker.